Package B includes two of our most popular books. 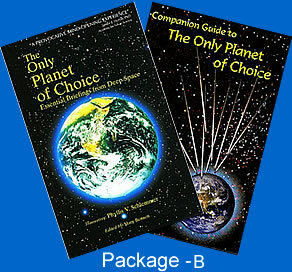 In this package you get "The Only Planet of Choice" and "The Companion Guide". Both for one low shipping charge of $5.50 for US orders and $24.00 for International orders.